And thus we were left to feel slightly less excited about Sunday evening, a time usually reserved for the doldrums of the weeks as it foretold the coming of the long winter that is Monday mornings. But boy oh boy, what a rush to get there! "Finally," I proclaimed to my Facebook feed the moment Sunday's seventh and final episode of Game of Thrones season 7 had concluded, "Game of Thrones is BACK!" It felt like that type of moment for me. It was a brief, seven week summer journey that left my head spinning and many complaints tumbling over one another, much like watching the inside of a washing machine. How can they ignore space-time continuity issues? How can any of this be happening? But happen it did, explain it the producers did, as best they could, through good intentions and a dire need to progress the story to the point where they could wrap the series in a successful fashion (here, book readers should take note and perhaps cringe in fear--if the show had this much trouble reaching an ending, how will a seven book series with two books remaining do so when it moves at a glacially slower pace and its story hasn't even reached where season 6 of the television show began?). 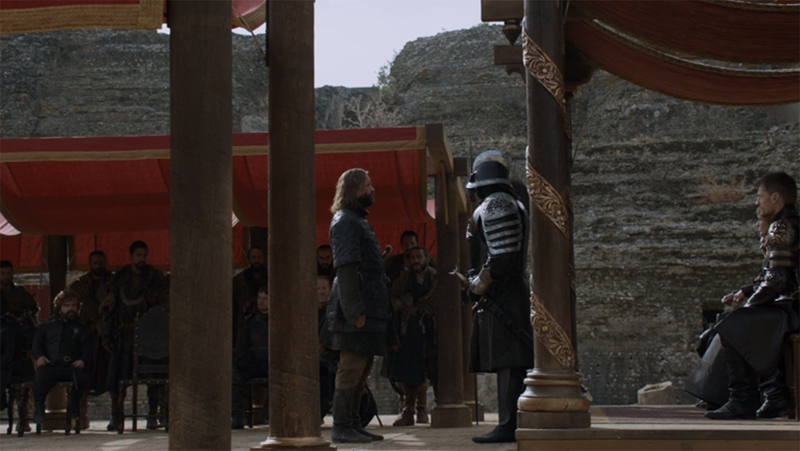 But for all my complaints throughout season 7, this episode, "The Dragon and the Wolf," took them, chewed them up, and regurgitated them in one of the more satisfying conclusionary meals I've ever had the pleasure to lap up. Here we should say it again, SPOILERS AHEAD. SPOILERS AHEAD. SPOILERS AHEAD. ... To the final shots of the Night King atop an ice dragon melting the wall at Eastwatch and his army calmly advancing south of the magical barriers that have prevented so from beyond memory. It also made clear just how masterfully much of what seemed askew was crafted with perfect intention to be revealed not as folly, but as the hand of a skilled master directing events at just the right moment. When I had issue with Bran's apparent lack of action (I mean the guy sits around in a chair with wheels doing nothing all day! ), Sansa and Arya's incredible and character-defying naivety while dealing with Littlefinger, Sam's blundering idiocy in missing one of the most closely guarded secrets on the show (Jon's parentage), when would the Mountain and the Hound finally get it on: all this and more was satisfyingly answered or at least alluded to an answer forthcoming. And in knowing that we only have six episodes of the show remaining and now have basically all our cards on the table, you can expect a lot of fighting and a lot of satisfying moments. But remember too, how far this season has taken us. 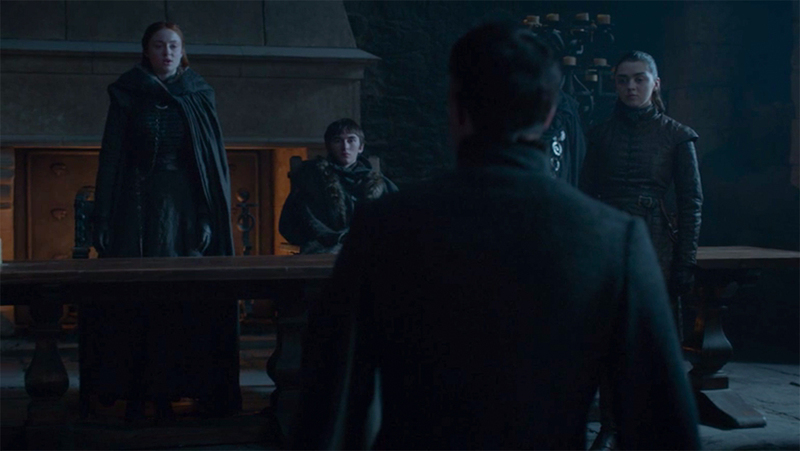 From it's opening high notes of Arya, full-fledged faceless man laying low the Freys, to not one, but two groupings of Starks and pseudo-Starks laying aside petty (and not so petty) differences to face common enemies as strong, united fronts (much stronger than their father, it turns out), this season positioned the Game of Thrones survivors to play meaningful, and impactful roles in the final season. Think how much has happened! Think how many houses are now wiped off the board and how much the characters remaining have evolved and taken on larger, more instrumental roles. "The Dragon and the Wolf" also served to reestablish continuity. It largely bypassed the illogical timelines that plagued this season as most of its characters were lumped together geographically, or the action took place in unrelated scenes across the land. It focused on plot development and revelation and took what had been seemingly jumbled before, tossed it in the air, and spread it smoothly upon the ground for everyone to hold hands and sit down upon: one big happy picnic. It anchored the season, and simultaneously bogeyed it, raising it from so-so to superior. 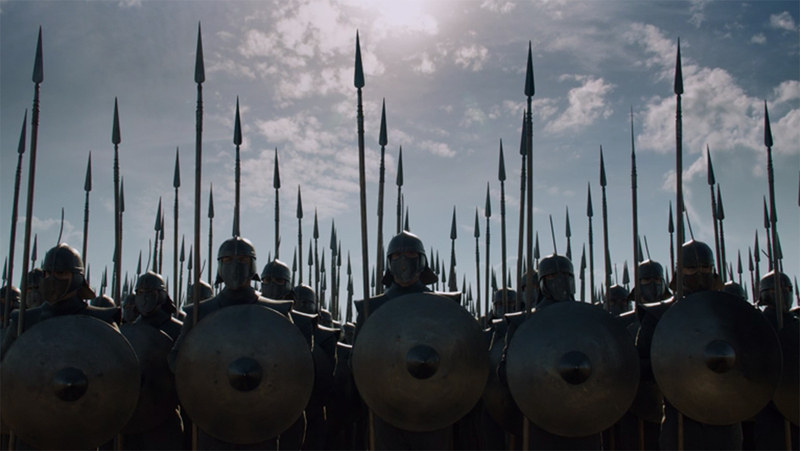 The final six episodes planned for season 8, thanks to a wonderful seventh season, should be a shitshow of maneuverings, revelations, triumphs, deaths--we can't seriously expect all of these people to survive, and action. Loads of action. But what we shouldn't find as much of, are betrayals. Most of the principal motivations now lay aligned with Danny, her cause, or her supporters. Only Cersei and several of her principals now roam as free agents likely to sew mayhem (the Mountain, her Kingsguard, Qyburn, and Euron. Even outsiders like Melisandre seem to have proven through remorseful discourse that their intentions (despite past mistakes) are aligned with the common cause of living versus dead. Who are the three heads of the dragon? Can Danny have children after all? They've certainly built this up as a possibility, but the GoT show runners have also proven adept at misdirection (as has the creator George R.R. Martin). What role will the Hound play (outside killing the Mountain) and how does his fear of fire factor in? What role will Theon play? 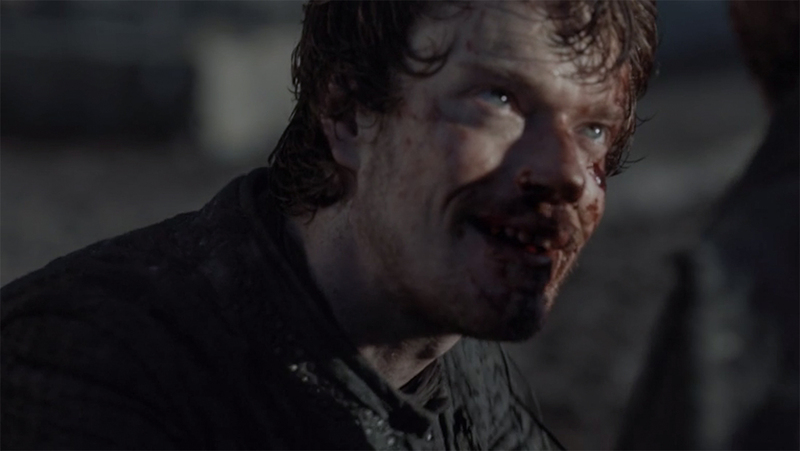 Now that Theon has finally found his balls by proving he has none. He seems to continue to persevere when clearly his character shouldn't and doesn't deserve to. This last resurgence suggests a role to play still. What role will Bran play? Will the Children of the Forest appear again? What role will Gendry play? When Jaime is forced to choose allegiance, what will he do? He's clearly beyond conflicted now. What does an aerial dragon battle of fire and ice look like? What will Danny do when she finds out she's banged her cousin? The honorable thing, of course, would be to feed herself to her dragons. How will the united Stark children at Winterfell factor in to events? We'd love to hear your thoughts on season 7, the finale, and where you think we're headed for the crazy series finale next year. Drop your comments below.